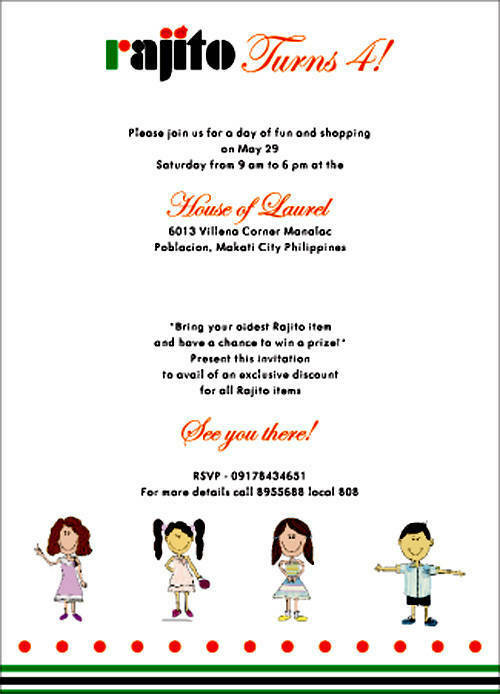 Join fashion designer Rajo Laurel as he celebrates the 4th anniversary of his kiddie couture line, Rajito. Prizes, arts and workshop activities, as well as delicious kiddie treats await guests. 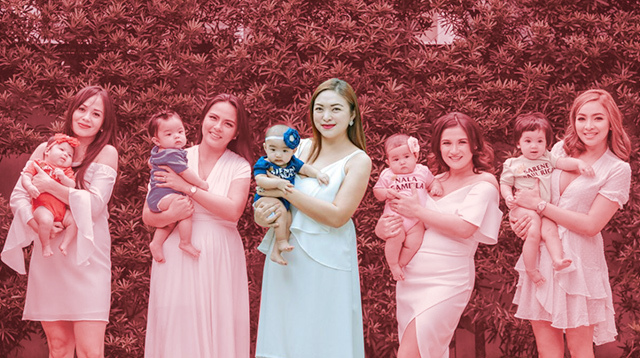 Visit the House of Laurel on May 29, Saturday and join fashion designer Rajo Laurel as he celebrates the 4th anniversary of his kiddie couture line, RAJITO. Bring the kids along for an entire day of fun and shopping with RAJITO's latest designs. Bring your oldest RAJITO item for a chance to win a special prize. For the kids, there will be arts and crafts activities from 10 a.m. to 12 noon and from 1-3 p.m. with Teacher Malu from Intelliboost. Refreshments such as fruit shakes from The Big Chill and Krispy Kreme donuts as well as cupcakes by Sonja will be served. The House of Laurel is located at 6013 Villena Corner Manalac Poblacion, Makati City. For RSVP, contact 0917-843-4651. For more details, call (02)895-5688 loc. 808.